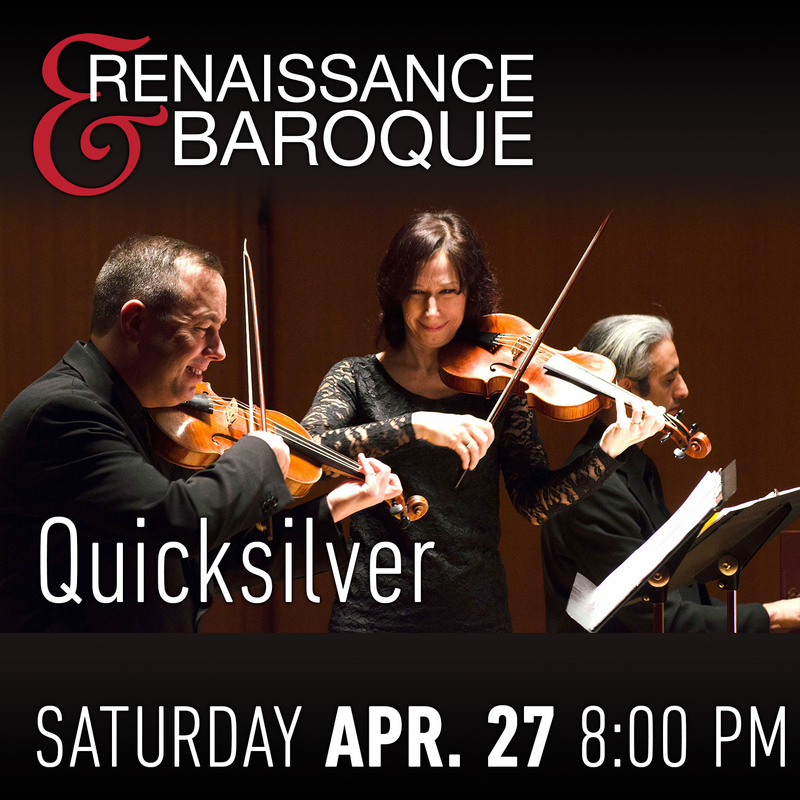 Quicksilver’s Stile Moderno examines modern music as it was invented by virtuoso instrumental composers in 17th-century Italy. It is also an exploration of those composers' new invention, the sonata: a pure instrumental work, with no agenda but the imagination of the composer. Led by co- directors and violin virtuosi Julie Andrijeski and Robert Mealy, this program of “new music” is virtuosic, experimental, unexpected, and deeply moving. Music by Castello, Fontana, Merula, Marini and more. Violinist Julie Andrijeski will give a pre-concert talk at 7:00 PM at which she will discuss Stile Moderno vs. Stile Antico, typical instrument combinations, and Quicksilver's approach to playing this music.